suicide bullets: Out Zone high score #4 - 3,190,400 - third loop! 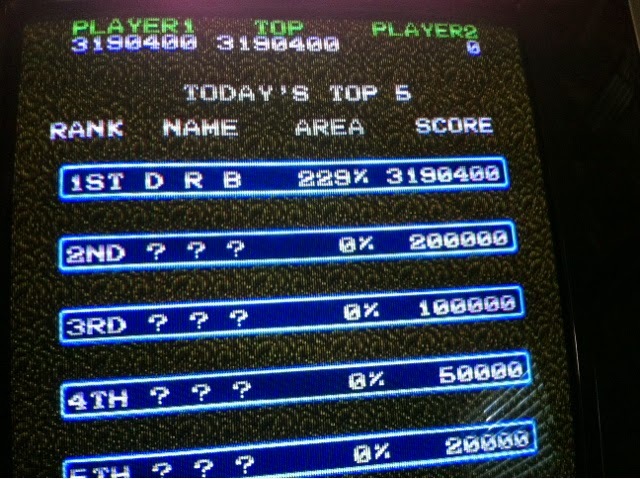 Out Zone high score #4 - 3,190,400 - third loop! Made the third loop! Besides Batsugun, this is te first Toaplan game I have been able to loop twice, which feels pretty sweet. The third loop is pretty brutal, but even though I didn't make it past the early stages, I think it's doable with most of the same patterns from loop two. Well done! Maybe one day you can film the action? A new generation of superplays? Wow - you flatter me! 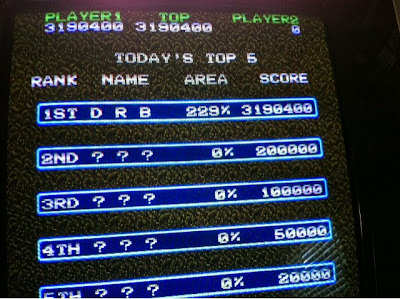 :) Honestly, if I could get over 8 mill ( beating the Shmups high score) I'd consider it! This site linked me to other good things, so let the high scores flow!